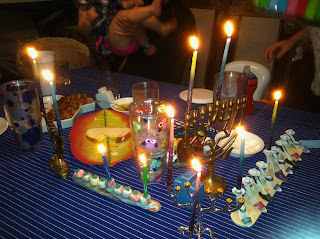 For Hanukkah this year, I really wanted to make sure that the kids had some great memories, since last year's Hanukkah was less than wonderful. This year, for night #1, we invited over a few friends to share the evening with us and then made a yummy dinner of latkes, burgers and salad. 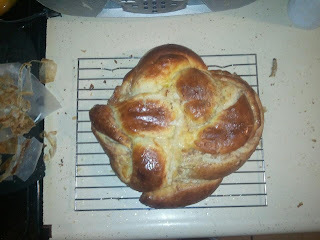 Geoff made an amazing dessert challah! His dessert challah had a cream cheese and cinnamon filling that was folded into it. My oh my, it was amazing! While, I truly enjoyed having over our friends, even better was watching my kids get excited when they opened gifts. Of course, best of show went to Lissy Jane! She got her baby doll tonite and it was absolutely adorable how cute she was about opening her gift! First off, she now understands opening presents, which is so fun. But, what's even better, she really loves babies! These latkes were so yummy. We definitely have some tweaking to do on the recipe. But, it was so good. 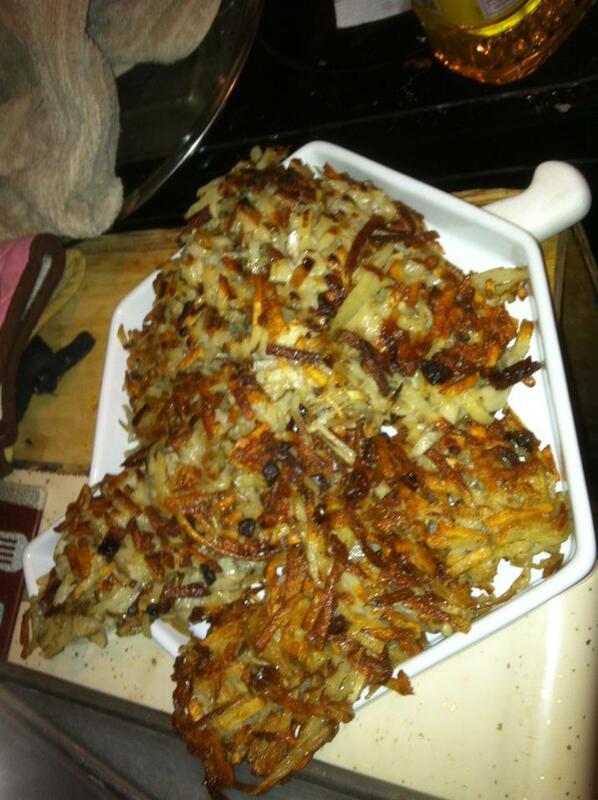 Everyone really enjoyed how tasty those latkes were, especially since some of them had never had latkes before. This is me and my friend Keller Anne. This was her first Hanukkah dinner to attend. She really seemed to enjoy learning from my kiddos, even though Jonas totally scammed her out of gelt while playing dreidel. How can anyone not like the vision of lit menorahs!??? They are definitely a beautiful sight and one that I always enjoy remembering from years past. 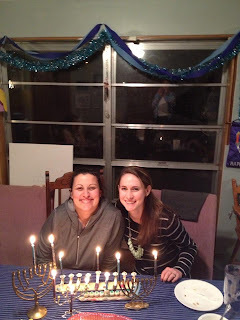 It's hard to think back on past Hanukkahs and not miss my mom. Especially since she died during Hanukkah last year. I hope that she is enjoying watching all of us this year. OR maybe she's here with us. Either way, I so wish she could be here to share these moments with us.